He called upon the government to either rectify the mistake or to give a heavy price. THIRUVANANTHAPURAM : Congress publicity committee chairman K Muraleedharan said the CPM is trying to create a wedge between religions by making the Supreme Court verdict on Sabarimala a cover. Women in the age group of 10 to 50 are themselves saying they don’t want to go to Sabarimala temple, Muraleedharan said and wondered as to why Pinarayi Vijayan was stubborn in sending them to the hill shrine. He called upon the government to either rectify the mistake or to give a heavy price. 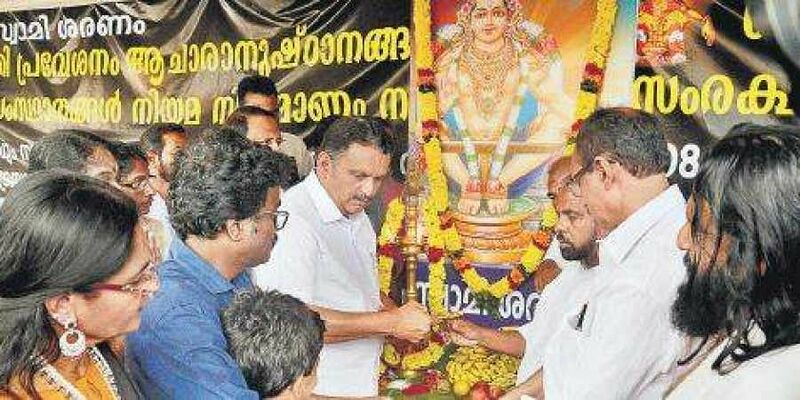 He told reporters the Congress party sticks to the affidavit by the Oommen Chandy Government in Supreme Court that rituals and customs of Sabarimala should be protected. He said the CPM had come out against the Rajiv Gandhi Government bringing a legislation in Shahbano case against the Supreme Court and added the Congress has a single policy regarding religious matters. The senior Congress leader said the CPM is trying to differentiate people on the lines of religion and caste. People are participating in protest marches across the state without any caste or religious consideration and added even people from other religious beliefs are supporting the just cause of Sabarimala devotees. CPM is trying to enter into the rituals and beliefs of other religions and trying to enter the mosques and churches which will not happen in Kerala. The Congress leader said the CPM was expecting to garner the votes of each and every women through this move but the women rejected it outright.